Charge the North is an initiative launched by FleetCarma in partnership with Natural Resources Canada and several utility companies across the country. The goal of the program is to collect real-world charging data from Canadian EV owners so that utilities can plan for world-class EV infrastructure. Demand for electric vehicle infrastructure is increasing and utility companies need data for informed planning. FleetCarma’s C2 devices plug into the OBD port of electric vehicles to collect this data. 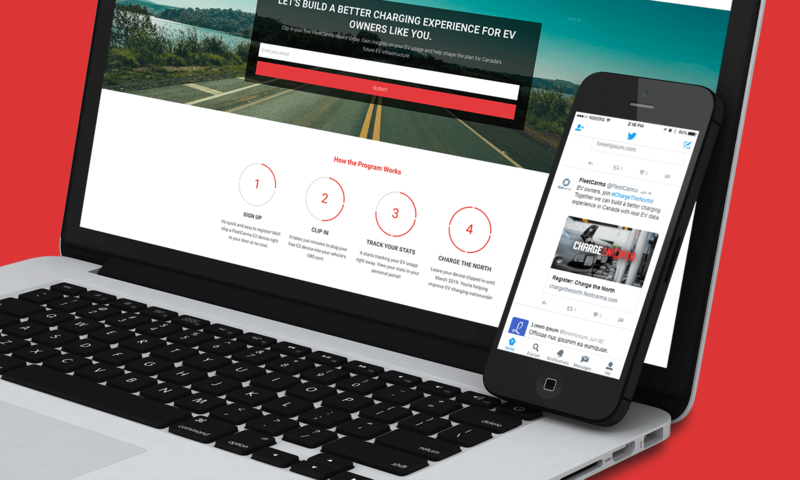 Stryve was tasked with branding the campaign, creating a web presence, and driving 1,000 Charge the North registrations within 10 months. We kicked off the project by developing the campaign’s brand from naming to logo design. Next, we built a microsite on HubSpot. Anticipating heavy mobile traffic, we created a user-friendly two-stage signup portal. Two stages allowed to capture an email address immediately in case a user abandoned signup before completing the form. We used AdRoll retargeting and email lead nurture flows to encourage users to return to complete step two at a more convenient time. Social media ad campaigns targeted at Canadian EV owners were launched on Twitter, Facebook, and Reddit. We coordinated organic efforts to support our pay-per-click strategy, reaching out to Canadian EV associations and social media communities. Each piece of the campaign was meticulously tracked and analyzed through Google Analytics. On a weekly basis, we reported on campaign performance as well as vehicle and geographic spread to ensure program participation was representative of the Canadian EV landscape. 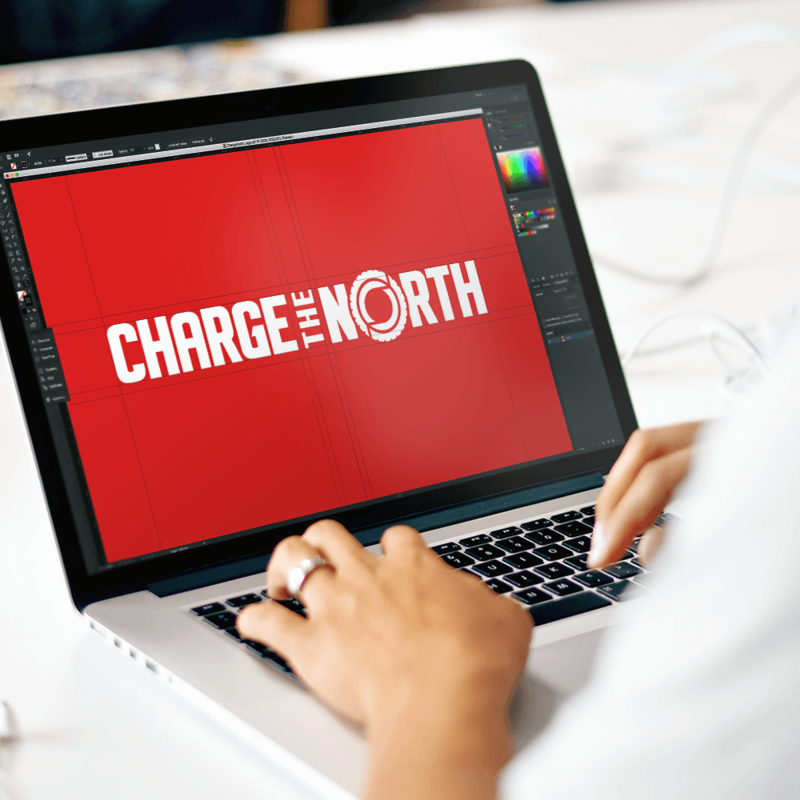 We experienced an overwhelmingly positive response to Charge the North. Within just 1 month of our campaign, we surpassed our registration goal. Our efforts have since shifted to supporting on program compliance and generating awareness about the program amongst other stakeholders.